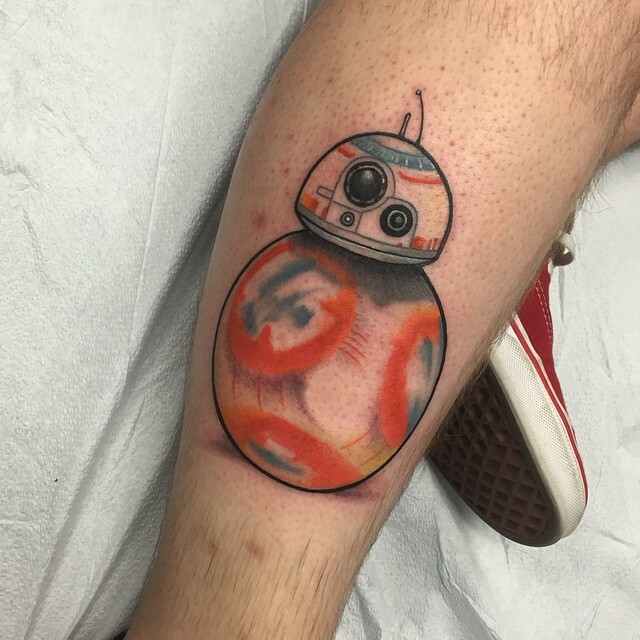 Eager Star Wars fan Jordan Breckon claims to have the first Star Wars Episode VII: The Force Awakens (previously) tattoo depicting the spherical astromech droid seen in the teaser trailer for the film. Breckon posted a photo of the tattoo, inked by artist Tyler Nealeigh, to his Instagram page. For comparison, here is an image of the droid pulled from the Star Wars Episode VII: The Force Awakens teaser.